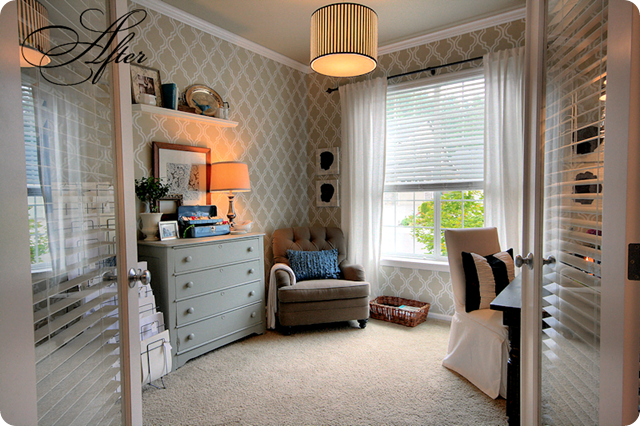 I've been bouncing the idea of stenciling around ever since I finished the stripes project. 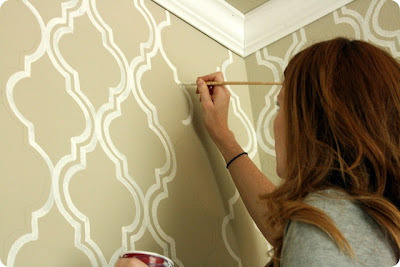 I've been searching to the ends of the internets (both of them) for wall stencils and inspiration. I've found many wonderful options. Which paint finishes to use? Stencil a whole room? Part of room? Feature wall? I'm not sure where or when to start but these 2 pics are my inspirations. Sorry for not crediting the black foyer...it wasn't credited on the site I found it on. 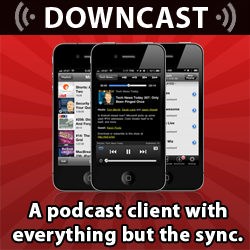 Give me a holler if it's yours and I'll gladly give you credit. Whose ever foyer this is, it's stunning. I LOVE it more than any other stencil project I've seen. I *might* go black in our guest bathroom with a pop of color on the ceiling. Since we've got plate-rail-height wainscoting in the bathroom, I think I can get away with the color. Plus, we've got black and white tiles and a black vanity. 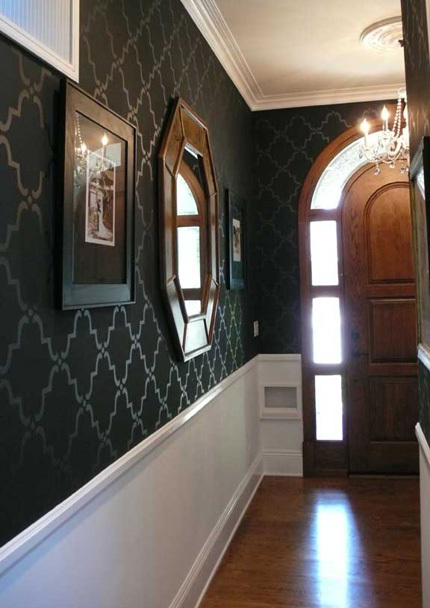 I'm also totally loving this hand-painted wallpaper/stenciling by Jones Design Company. I have already printed out the stencil and test drew the design on a tiny part of my laundry room. It's so pretty. Again, with the plate-rail-height wainscoting in 2 rooms, I can see taking on such a task. Amazing work, I tell ya. Stay tuned to see what I come up with. I don't want to commit to wallpaper yet, so painting it on is the way to go for me! Love it! I actually thought about doing something similar in my dining room and bedroom...i haven't found the right one quite yet. I am excited to see what you do! A great resource for "fresh" geometric stencils.